If you are trying to encourage collaboration in your classroom and are having trouble, read on. 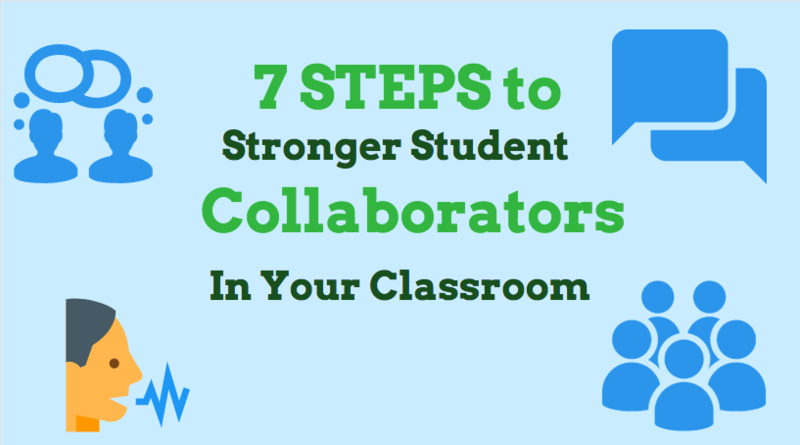 You will see 7 steps that will help you build stronger student collaborators in collaboration activities. Why is collaboration such a big deal all of a sudden? 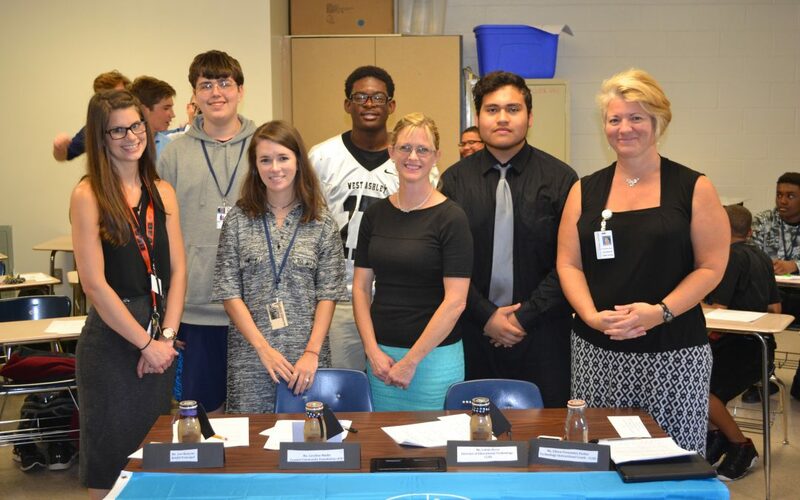 Everybody wants to collaborate: songwriters, businesses, school districts, teachers, and now students. What is it, and what, if anything, is its importance? Well, as it turns out, collaboration boosts creativity and thinking. Teamwork works for big jobs and also for small jobs. That’s reason enough for me to start incorporating collaboration into my classes to allow my students the opportunity to practice and attain those collaboration skills. 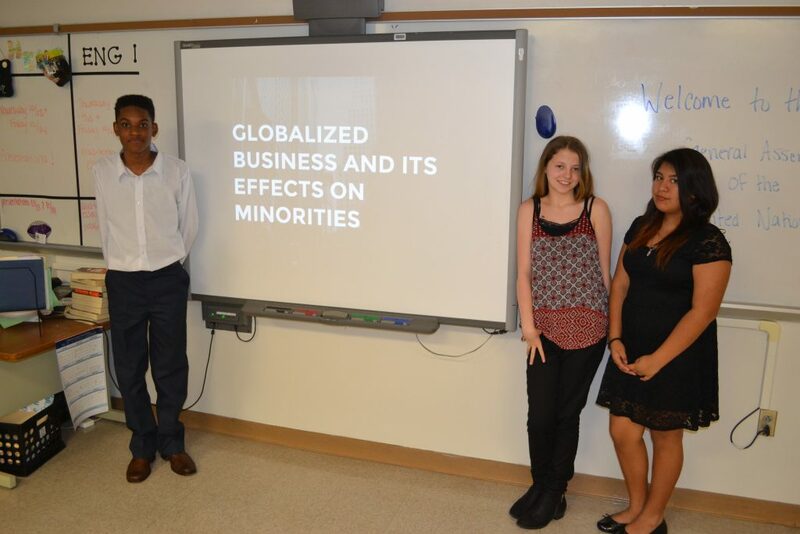 For two years, I encouraged collaboration in all of the classes with which I worked. After awhile, I started to wonder whether all the work to set up collaboration was really that important. Then I was present for a presentation by Anthony Kim of Ed Elements. In that presentation, Kim shared some data with us from John Hattie’s Visible Learning. What caught my attention and subsequent dedication to collaboration is the graphic below. 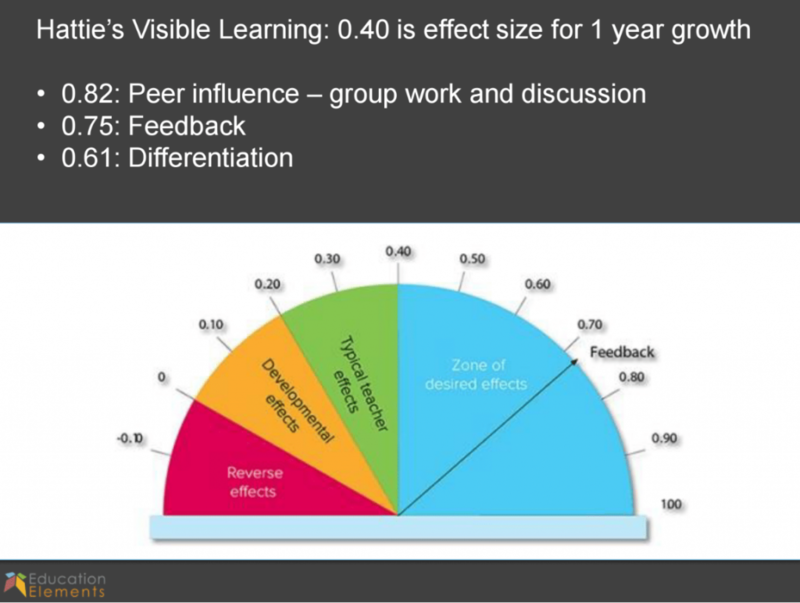 In it, Hattie shows that 0.40 is the effect size for one year’s growth. The highest growth effect comes as a result of … you guessed it, peer collaboration and discussion coming in at a whopping 0.82! That means that, according to Hattie, peer collaboration and discussion result in students learning more than twice what they would learn in a traditional classroom with a traditional teacher. Even more than differentiation and immediate feedback. That’s worth restating. 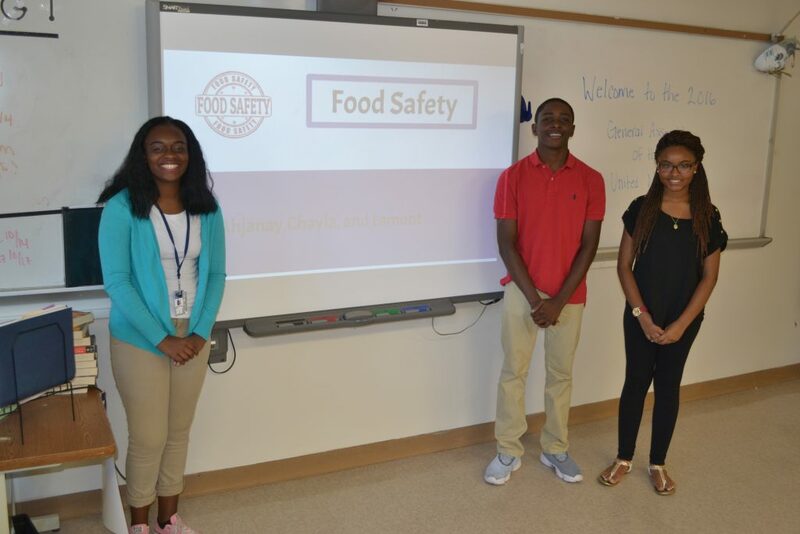 Peer collaboration and discussion result in students learning twice what they would learn in a normal year’s growth. Whoa! That’s amazing! With growth like that, we should all be collaborating and discussing all day long, right? Well, my teachers and I worked on collaboration in our classrooms. We learned about, planned out, tried out, and reflected on blended learning station rotation that required a collaboration station. The results were very telling. At our end-of-the-year meeting we reported out our findings. Of our group, 95% said that the collaboration station was the least successful. Upon reflection, here’s what we surmised: students don’t need just the opportunity to collaborate; they need to be taught how to collaborate well. How Can We Improve Collaboration? All summer I thought about why we failed and how we could succeed. I knew there had to be a way to teach students how to collaborate well, and I processed and researched and finally put together this infographic called “7 Steps to Building Student Collaborators” (see right) for teachers to follow as a scaffold for building strong collaborators. As everything else in education, this is a work in progress, so please try it out and send me some feedback to improve it for all who might happen upon it and try it out. Here is a detailed description to help you get started. As it is a progression, feel free to jump in wherever makes the most sense for your students. 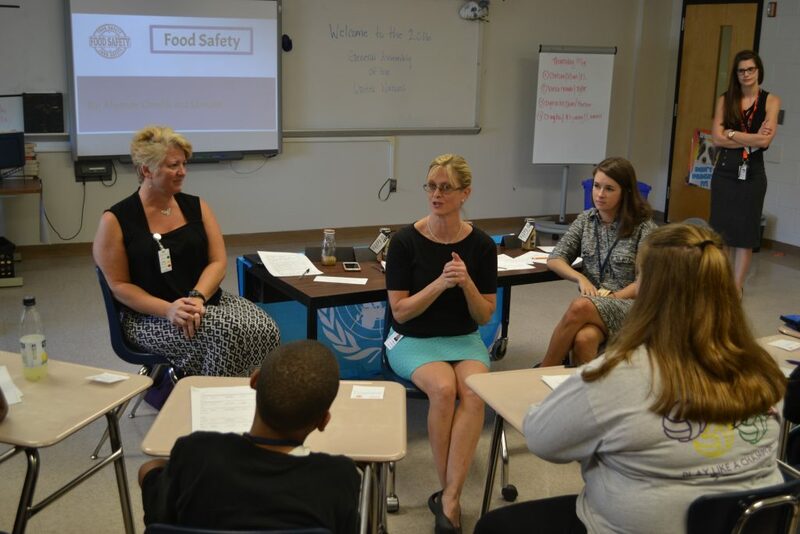 Step 1: Begin with open-ended discussion questions for the students to process their thoughts. Google Classroom is a great tool for this because the answers to Classroom discussion questions are hidden until after a student submits his/her answer. No copying, folks. What you see is what you get. Set the settings to allow students to respond. (This allows them to see other’s answers). However, you must go into the Student section and change the rights to “Only teachers can post or comment.” (see graphic) You want this because in step 2 you have to teach your students how to write an appropriate response to a post. 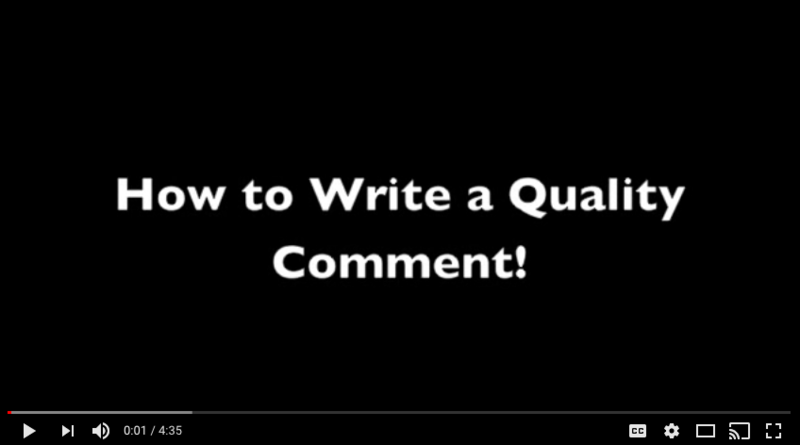 Step 2: Teach students what makes an appropriate, well-written response to a post. To do this, share How-To videos 1 and 2 below and Accountable Talk/Moves charts like the one below that demonstrate well-written responses, and practice, practice, practice. Maybe your students could be empowered to create their own video, blog, vlog, or infographic for others to use. Step 3: Give students the opportunity to practice using accountable talk (found here and here), and practice responding as a whole group to one another’s posts in Google Classroom. 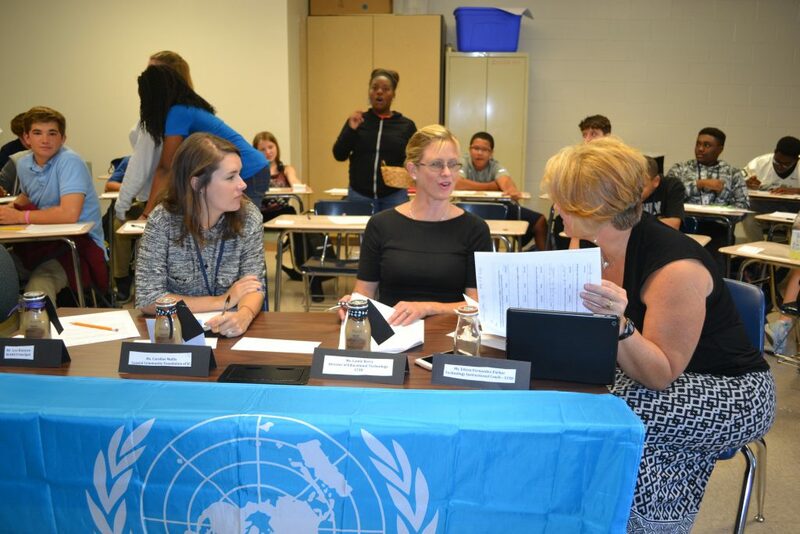 As a modeling exercise, the teacher will type the responses as the students formulate them together. You can start out whole group and move toward small groups formulating responses as one entity. There are plenty of apps to assist you. Socrative allows students to post their answers and then vote on the best one. Google Classroom allows teachers to post a discussion question for group responses with only one person per group submitting a response. A shared Google Doc with a table can be used to share out the final group responses. A shared Google Drawing can be used with post-it note style text boxes for each group to claim and fill. Please know that once is not enough. Students need the opportunity to practice, practice, practice. Once you are confident that students know how to write group responses, change the Google Classroom settings to “Students can post and comment.” This will open up discussion questions for peer response. Once you feel confident that students understand the phraseology in writing, you need to transition to verbal responses. Step 4: Move to an on-the-spot, think-fast, response system that requires accountable talk or sentence starters. Socratic seminars are just the activity for this. 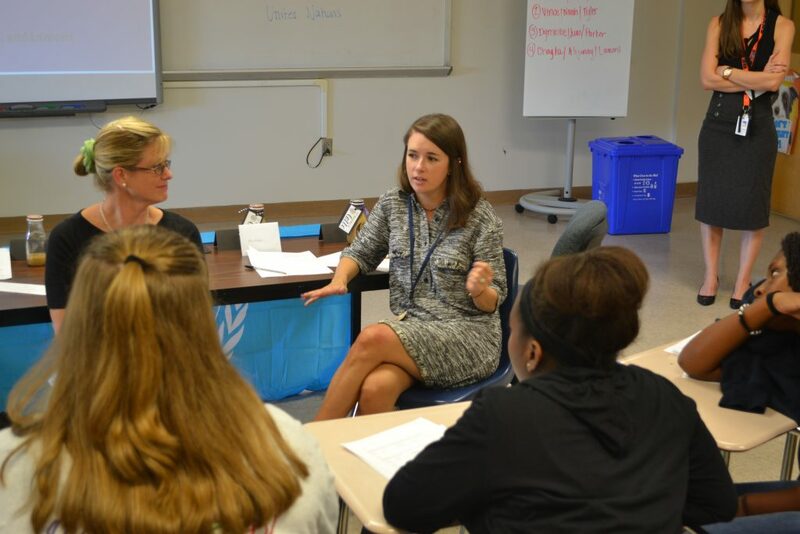 If you are not familiar with Socratic seminars, they are basically student-led discussions with the requirement that everyone has to contribute something to the discussion. The teacher is responsible for formulating questions that are open-ended and draw out student interpretations that should then be supported with text or some other data. Great Book, Junior Great Book Shared Inquiry discussions, and Fishbowl discussions are similar to a Socratic seminar. It doesn’t matter what system you use as long as students have to piggyback on one another’s responses. This is where the accountable talk comes in. 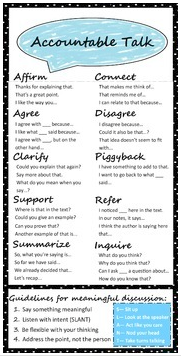 It gives students the phraseology to have civil agreement and disagreement. 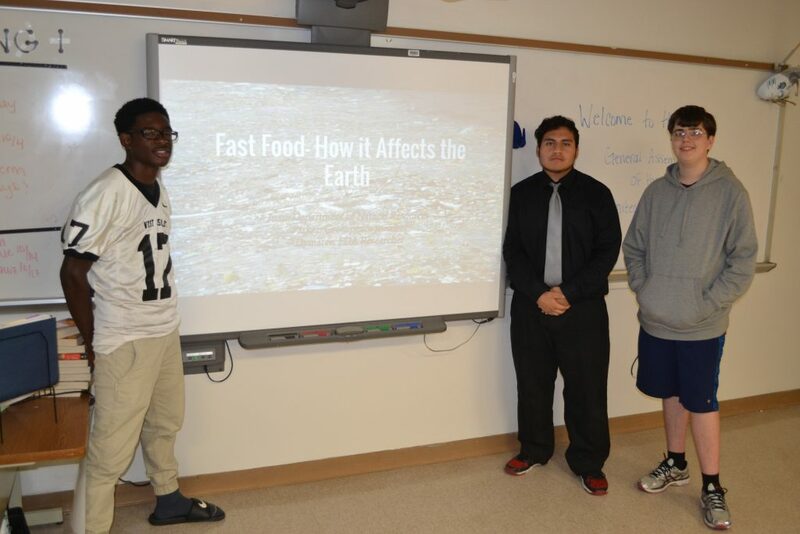 It also encourages deeper inquiry instead of superficial analysis of a topic. Step 5: Now that students are becoming comfortable with more academic phrases and sentence starters as a whole group with teacher monitoring, it is time to set them into small groups to monitor themselves. Create simultaneous small groups each with the same task: run your own Socratic seminar or Great Books discussion for shared inquiry. Formulate starter questions as a whole group or as small groups, and then share out before beginning the activity. Formulating questions is a skill that our students could practice more. Scaffold here as needed. After the activity, debrief and give students time to reflect upon what went well and what could be improved. Practice these small group synchronous discussions a few more times until you and they feel confident that they could monitor themselves completely during a station rotation class period. It’s now time to move toward asynchronous collaboration. Step 6: Today is the big day! Your students should be better prepared to rotate into a collaborative station without needing your help. This is a huge accomplishment and should be celebrated by you and your students! Your job is to create 3 or more stations: Independent, Collaborative, Teacher Directed. If you are not familiar with Blended Learning Station Rotation, check out Blended Learning Universe through the Christensen Institute. Step 7: Finally, take time to allow students to reflect on the experience. Debrief with them to get their feedback, so together you can build a better station rotation each time. Reflection Tools: Journal, blogs, Google Classroom, Google Forms, Think-Pair-Share, ClassKick, Nearpod, Seesaw, Vocaroo, audio recorder, video recorder, Screencastify, etc. If you are ready to try collaboration with your students, please try out this scaffold and send me some feedback. I’d love to hear about your successes as well as your recommendations for how, together, we can make this process better. It’s all about the collaboration, right? Here is the infographic in case you’d like to print it out. Are You Leading by Learning? It’s early Saturday morning, and I am at the stove, my back to my family. 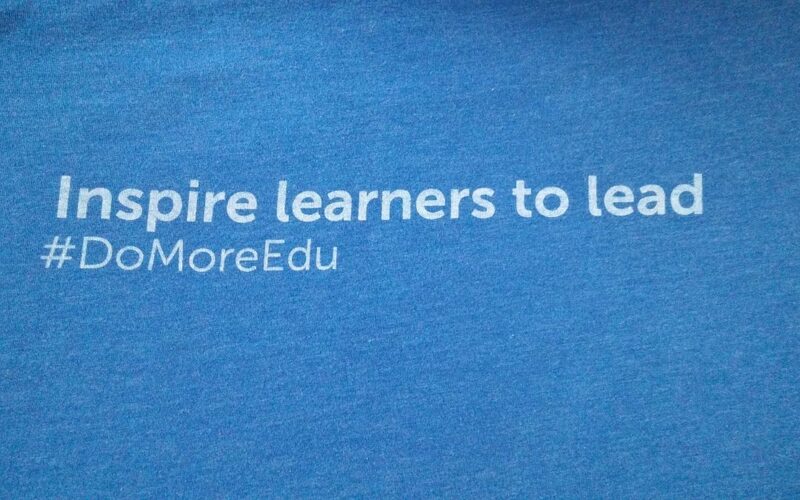 My husband reads out the quote on the back of my t-shirt: “Inspire learners to lead.” My 16 year old son, however, immediately sees the irony in the statement and flips the wording: “Inspire leaders to learn.” He’s right. Are you leading by learning? Many of the messages being generated in education are about what students and teachers should be doing, and so LITTLE focuses on what the leaders should be doing. All too often, building and district leadership are the least trained in technology, personalized pathways, and new innovative practices that are spreading across more progressive classrooms. Without leadership buy-in, innovation too often goes nowhere. Many teachers are trying new things, some because they are too young to fear, and others because they are experienced enough to know what they can and cannot get away with. Sadly, the masses are in the middle, worrying about whether they can try something new or recovering from an observation that did not reflect what was really going on in their classroom. How can this happen? Perhaps, the observer was not aware of what to look for. ISTE Standards are a great place to start. 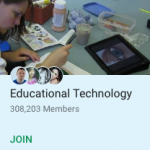 As an international body, the International Society for Technology in Education has a global reach as well as a global view. Of course there are technology standards for students, but there are also technology standards for teachers, technology coaches, and administrators. That’s right! Standards for admins! Visionary leadership: Educational Administrators inspire and lead development and implementation of a shared vision for comprehensive integration of technology to promote excellence and support transformation throughout the organization. 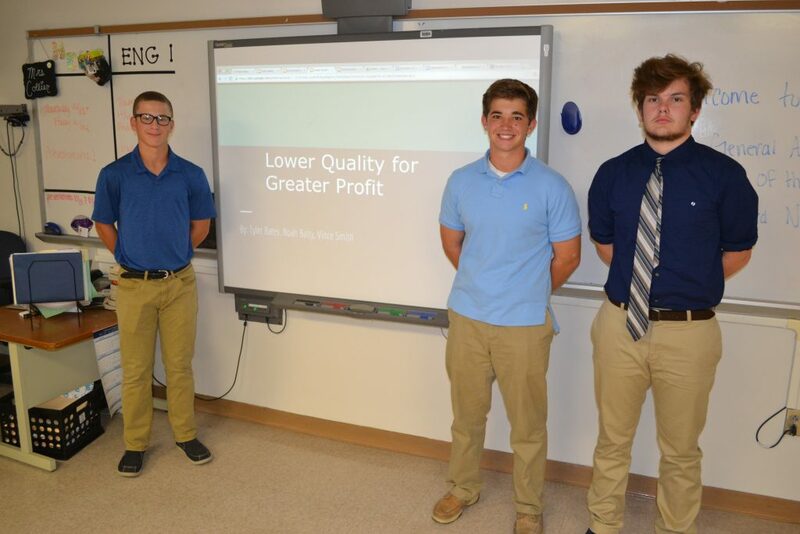 Digital age learning culture: Educational Administrators create, promote, and sustain a dynamic, digital-age learning culture that provides a rigorous, relevant, and engaging education for all students. 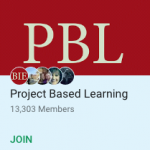 Excellence in professional practice: Educational Administrators promote an environment of professional learning and innovation that empowers educators to enhance student learning through the infusion of contemporary technologies and digital resources. Systemic improvement: Educational Administrators provide digital age leadership and management to continuously improve the organization through the effective use of information and technology resources. 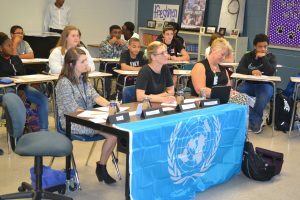 Digital citizenship: Educational Administrators model and facilitate understanding of social, ethical and legal issues and responsibilities related to an evolving digital culture. Wow! How powerful! I have to admit that I have come across a few admins that are succeeding in this standard and its indicators, but all too often, the admins are the last to know about innovation and technology fluency and integration. Well, it’s not that difficult to stay abreast of the latest educational research. There are so many sources for technology information, and now it’s easier than ever to receive that information. No longer do you have to seek out information; it comes right to your inbox, your Facebook page, your Twitter feed, and your Google page. If you are an admin, and you don’t have one of those four technological connections, it is either time you let your students teach you, or it’s time for you to voluntarily remove yourself from education. 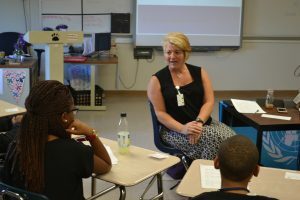 Being connected is a great way to understand and connect with your students and faculty. While I was not a Tweeter a year ago, I am now getting most of my best educational information through Twitter. Twitter is not for wordy people or even full messages. Instead, it is an opportunity to share links to great blogs, tidbits of wisdom, and periodically a funny comment. When you create a Twitter account, do not leave your profile picture as an egg head. Immediately add a saying, a meme, or a photo of yourself to your profile. Choose a few key people to follow. I have given you a few recommendations below. Choose whom you follow carefully, and don’t overdo it. You don’t want to get overwhelmed. Wade in slowly, and if you like it, jump in. 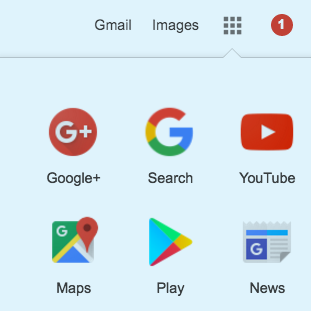 If you have a gmail account, you can create a Google Plus, G , account. To do this, go to the 9-square in the top right hand corner. See graphic at right. Choose the red circle with G on it. 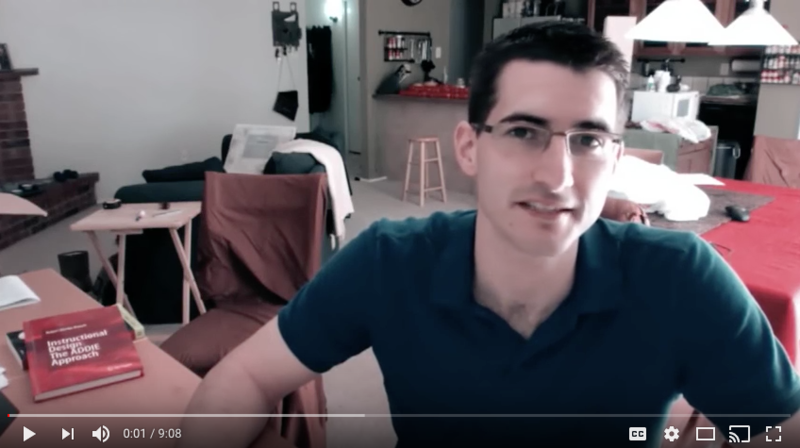 This will take you to your Google Plus account. 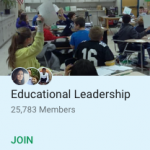 Set up your profile, and then go to the menu on the right and choose “Collections.” Here, you can engage in dialog with educators, administrators, and innovation leaders around the world. You will receive an email for each posting, and your post will go to every member in that community. This can get overwhelming very quickly, so only choose one or two communities to join at first. 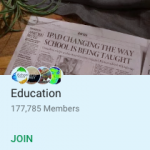 Click the JOIN button to become a MEMBER. To leave a group, click the MEMBER button and choose LEAVE. After joining a few Google Communities, check out the Google Collections. These function more like Facebook business pages, so only the owner(s) can post, and you can reply. It is still a great place for resources and getting connected. As an admin, you have a unique power to make change. Be the voice and catalyst for change. If a teacher comes to you with ideas, research it, and support the teacher. Without administrator and building leadership buy-in, most innovation falls to side. If you have an opinion that you would like to share, please leave a comment below. I’d love to get a discussion going.